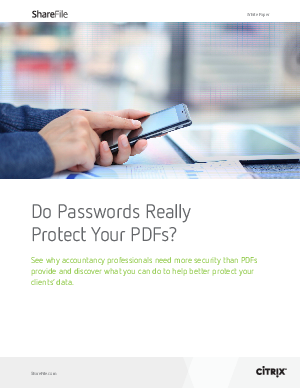 > Citrix ShareFile > Do Passwords Really Protect Your PDFs? Lose data when colleagues share passwords with others, especially through email. Face risk by not knowing if an unauthorised person has accessed your files. Have clients’ PDF files cracked by hackers in minutes.